WhatsApp has informed its users that the end-to-end encryption it offers for messages and media on its app, will not remain so if the data is stored as a backup on Google’s servers. WhatsApp claims that chats and media exchanged on its app are fully end to end encrypted. From November 12, all the data will be stored on Google Drive but will not be counted against the 15GB quota. WhatsApp had also explained to users that data of the messaging app stored on Google drive is not encrypted. According to India Today post, Your WhatsApp photos and videos are by default automatically stored in your phone’s photo app. 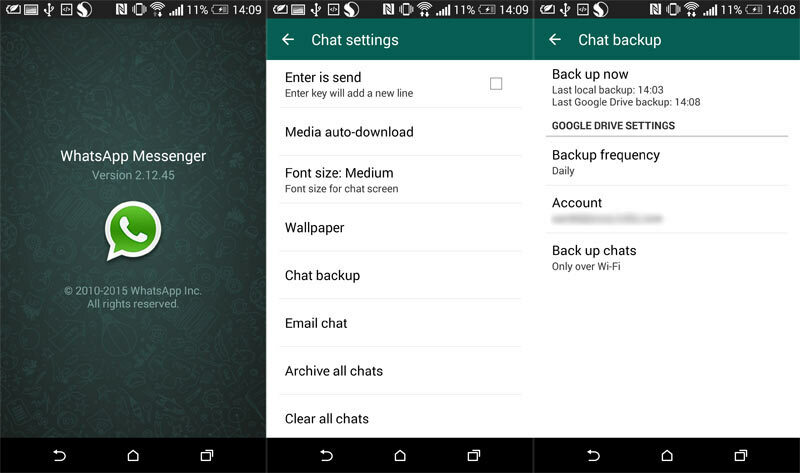 Your chats are automatically backed up and saved daily to your phone’s memory. This will continue to be available on your phone, even if you connect your WhatsApp to Google Drive. Select a Google account that you’ll back up your chat history to.